All the greatness of a taco, on chips! In a large bowl, combine the shredded chicken, diced tomatoes with green chilies, drained corn, drained black beans, taco seasoning, salt and pepper to taste. 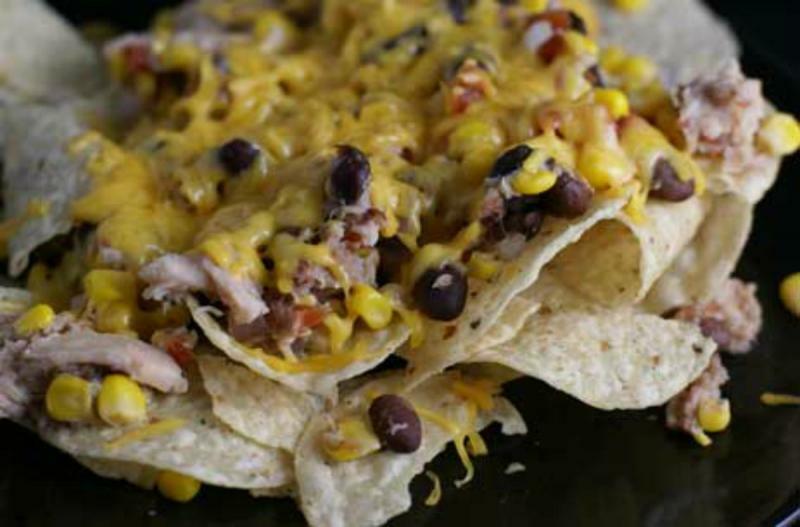 Lay the tortilla chips out on a rimmed baking sheet or glass baking dish. Add the chicken mixture on top of tortilla chips, then top with shredded Monterrey Jack cheese. Bake for 10 minutes, or until cheese has melted. Serve Chicken Taco Bake with veggies. Open 2 cans diced tomatoes with green chiles. Put baggie in the freezer and freeze up to 6 months in fridge freezer or 12 months in a deep freezer. Thaw in the fridge overnight, or a warm bowl of water for about 20 minutes, before transferring to the skillet for reheating and using to make the taco bake as directed in the recipe. The shredded cheese can be frozen in its bag until you plan to use it for this recipe. Omit cheese for dairy-free meal. Thaw completely and reheat in skillet. 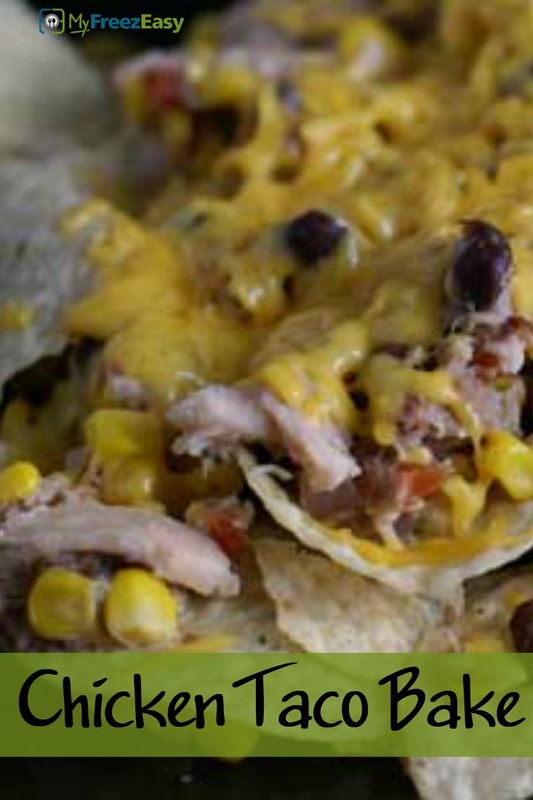 Add mixture on top of tortilla chips in baking dish or baking sheet, then top with shredded cheese. Bake at 350 F for 10 minutes.